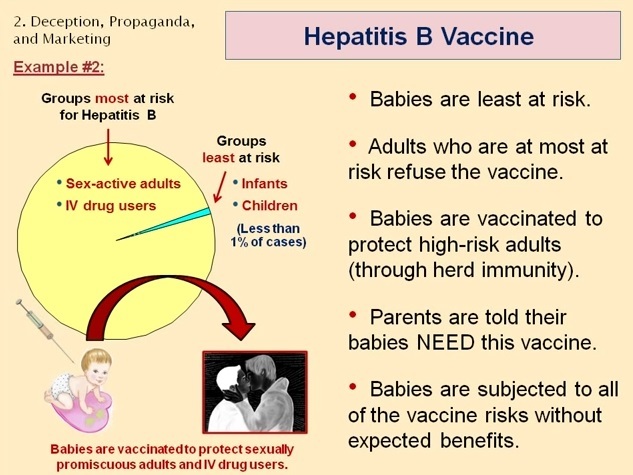 Great video to introduce you to Hepatitis B information and statistics here. This scientific paper notes connections between Hep B vaccine (a yeast-derived vaccine), and: Guillean Barre Syndrome (“significantly” increased) optic neuritis, demyelination of the central nervous system, vertigo with dipopia and evidence of demyelination, erythema multiforme. A new case of reactive arthritis after hepatitis B vaccination. Clin Exp Rheumatol 1993 Sep-Oct;11(5):585. Hepatitis B vaccine associated with erythema nodosum and polyarthritis. Acute sero-positive rheumatoid arthritis occurring after hepatitis vaccination. Arthritis after hepatitis B vaccination. Report of three cases. Erosive polyarthritis triggered by vaccination against hepatitis B. A one year followup of chronic arthritis following rubella and hepatitis B vaccination based upon analysis of the Vaccine Adverse Events Reporting System (VAERS) database. The development of rheumatoid arthritis after recombinant hepatitis B vaccination. Rheumatic disorders developed after hepatitis B vaccination. Hepatitis B vaccination and arthritic adverse reactions: a followup analysis of the Vaccine Adverse Events Reporting System (VAERS) database. Yeast-derived hepatitis B vaccine and yeast sensitivity. Hepatitis B virus infection in children and adolescents in a hyperendemic area: 15 years after mass hepatitis B vaccination. 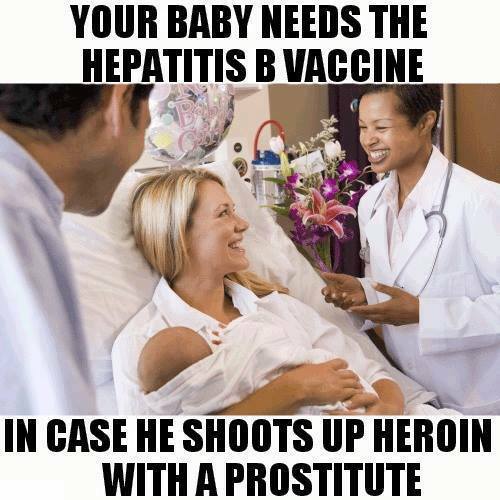 Reactions to thimerosal in hepatitis B vaccines. Topics includes an extensive section on Hep B and Hearing/ Vision Loss.